Numerous plumbing and fire protection design projects including the remodeling of existing space to create a new baking laboratory, coffee shop, electronics laboratory, science laboratory, EMT service bay, elevator installation, registration and administration remodel, childcare center, classroom conversion, and Waukesha Campus remodel. 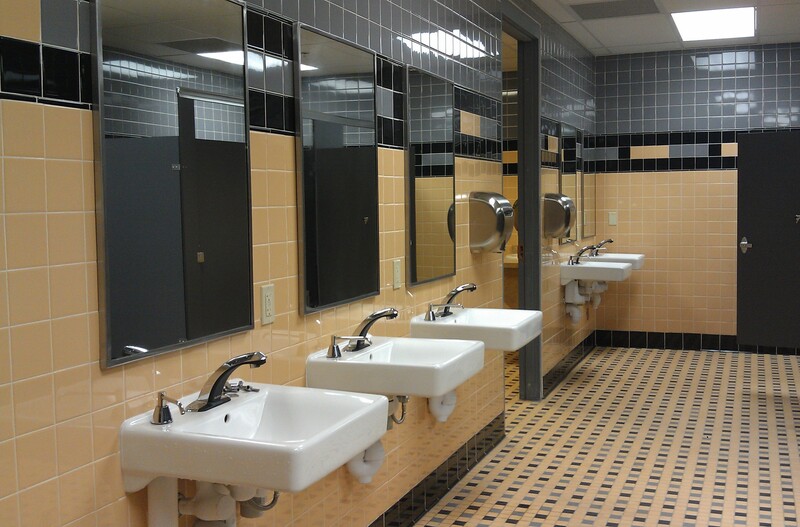 Also, provided mechanical, electrical, plumbing and fire protection design services for a toilet room and locker room renovation project to create ADA accessible spaces. Hazard assessment and fire protection system design for a new 1,250 GPM fire pump assembly to serve current and future university facilities. Fire pump design and overall system integration includes provisions for the connection and service of eight existing buildings and one future building. Critical importance placed on design details to maintain system integrity and overall facility protection as each facility is brought on-line. Plumbing, fire protection, and stormwater design services for the 65,000 S.F. Technology Center Addition at Oakton Community College in Skokie, Illinois. Primary plumbing design features include the addition of a hydropneumatic bladder tank to the domestic booster pump system, multiple restroom facilities with semi-instantaneous hot water heaters and circulating loops, and studio and lab sinks with independent instantaneous hot water heaters. Stormwater management includes a specific focus on unique rooflines, overflow drains, and new sump pump assemblies at existing loading dock areas. Fire protection design was based on a multiple hazard wet pipe system, with detailed head locations to accommodate multi-story entrances, floating ceiling structures, exposed structure features, and an all glass “connecting link” between building wings. Preliminary design, presentation report, and detailed cost estimate for renovations at the University of Wisconsin Zoology Research Building on the Madison campus. Primary design services focused on the conversion of an existing gravity-fed, high purity water system to a continuous re-circulating pump system. Additional project components included the updating of ADA accessible restroom facilities and code required fire protection systems.